If you’re unhappy with the appearance of wrinkles on your forehead, you may have considered BOTOX treatments. You may not have realized that your dentist or oral surgeon can be trained in performing these injections. Patients in Houston, Bellaire, Briargrove, Bunker Hill Village, Galleria, Hunters Creek Village, Katy, Lamar Terrace, Meyerland, and Stafford have a wide variety of options when it comes to this popular cosmetic treatment. BOTOX is a purified protein from the bacterium Clostridium Botulinum that can be used to help reduce the appearance of wrinkles on your forehead. Once injected, BOTOX helps to stop muscle contractions in your forehead, which reduces the appearance of wrinkles. It is important to pick a skilled practitioner because if not administered skillfully the injection can sometimes result in a forehead that appears to be frozen and will not move at all. This is a quick procedure that can even be performed on your lunch break. 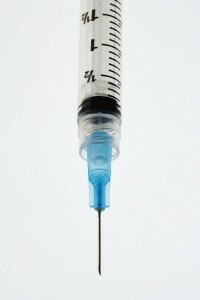 The injection will last for approximately three to five months. If you are concerned about frown lines between your eyebrows, wrinkles around your eyes, or wrinkle lines across your forehead, BOTOX treatment from your Houston dentist or oral surgeon may be a good choice for you. Call your oral surgeon to learn more or schedule your appointment today.